At MedCenter TMJ, we tell our patients that the health of your mouth affects your entire body. If you’re dealing with a temporomandibular disorder (TMD), the pain, inflammation, and other symptoms can have a profound impact on your physical and mental well-being. We also believe a healthy jaw means you must take good care of your teeth. We recommend regular dental visits and proper oral hygiene to optimize your TMD treatment and keep your mouth – and your body – functioning at its best. Poor oral hygiene has been linked to a number of health problems, including heart disease, pregnancy complications, and diabetes. In case you need another reason to pick up that floss or get to the dentist every six months, researchers may have found yet another link to poor oral hygiene and health problems. Recent findings, based on a number of large studies, suggest that the risk of head and neck cancer may be decreased with good oral hygiene. Cancers of the throat and mouth were found less frequently in people who had healthy teeth and gums and overall good oral hygiene. When you have TMD, proper brushing and flossing can be challenging. Opening your mouth for extended periods can be painful or seemingly impossible with a stiff jaw muscle and headaches or ear pain – common symptoms of TMD. Because good oral hygiene is so critical to your overall health, it’s important to find ways to work around this obstacle. At MedCenter TMJ, we work with our patients to find ways to brush and floss while minimizing pain and discomfort. Another obstacle for those with TMD is going to the dentist. Having to hold your mouth open for minutes at a time during a cleaning can be stressful and exhausting for TMD patients – not to mention painful. Some people may be downright fearful of the dentist because of their TMD or they may have dental anxiety because they’re already experiencing jaw pain and don’t want to do anything to make it worse. We understand that many people struggle with dental hygiene for these reasons, but help is available. If you can get to the root cause of your TMD, manage symptoms, and minimize stress, you can have an enjoyable dental visit and take this important step toward optimal oral health. Consider calling a dentist office before you visit and discussing your TMD. Ask them if they can accommodate you by allowing you to take breaks. Ask if they have any stress reduction tools available, such as aromatherapy or relaxing music. We believe oral hygiene is so important to our TMD patients that we work with them to ensure they can properly brush, floss, and see a dentist to keep their teeth and gums healthy. 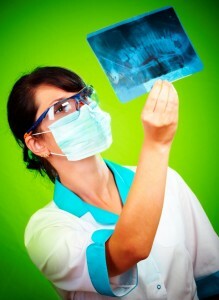 Don’t let TMD stand in the way of your oral health. Find out how you can treat and manage TMD with the help of Drs. Auvenshine and Pettit at MedCenter TMJ!